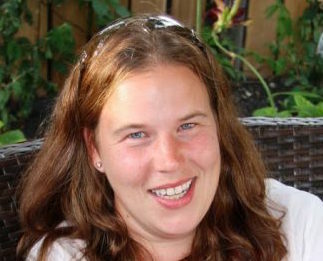 Monica Giesbrecht is a principal with HTFC Planning Design in Winnipeg where she has been practicing for almost 20 years. Arriving in Winnipeg at the age of nine from communist Romania, Giesbrecht is a passionate advocate for inclusive design and development. Trained at the University of Manitoba Faculty of Architecture and by her extensive travels around the globe, Giesbrecht is fascinated by the symbiotic relationships between people and nature and the infusion of these interrelationships in the designed landscape. While her global travels shape her work, Giesbrecht has chosen to practice in Winnipeg, which she considers a complex and wonderful city defined by resilience, hope and finding common ground. Giesbrecht’s ongoing investigations into the social, physical and psychological relationships between landscapes and youth, immigrants, marginalized groups, and seniors, serve as a foundation for her progressive work on healthy communities, integrated recreation networks, livable neighbourhoods, vibrant urban environments, sustainable landscapes, and culturally sensitive lands. Giesbrecht's work can be found across Canada’s prairies, boreal forests and northern tundra landscapes. Giesbrecht believes in the power of design to enrich our everyday lives. She volunteers her time to raise the culture of design in Manitoba, Canada and beyond in collaboration with the Manitoba Association of Landscape Architects, the Canadian Society of Landscape Architects, the International Play Association, the Ion Munescu School of Architecture, the Winnipeg Arts Council, Storefront Manitoba, and the Partners Program at the University of Manitoba.